Vetsource is the only industry-endorsed home delivery pharmacy provider, shipping directly from manufacturers to clients. 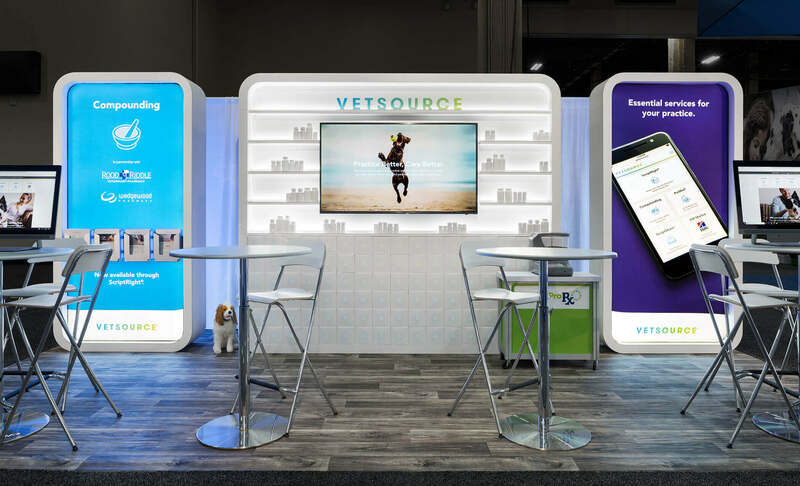 Vetsource launched this 10’ x 20’ inline exhibit at the Western Vet Conference (WVC). The inline components of this exhibit are part of the company’s larger island exhibit. The units shown here are actually reversible. For example, the reverse of the two side units accommodates video. 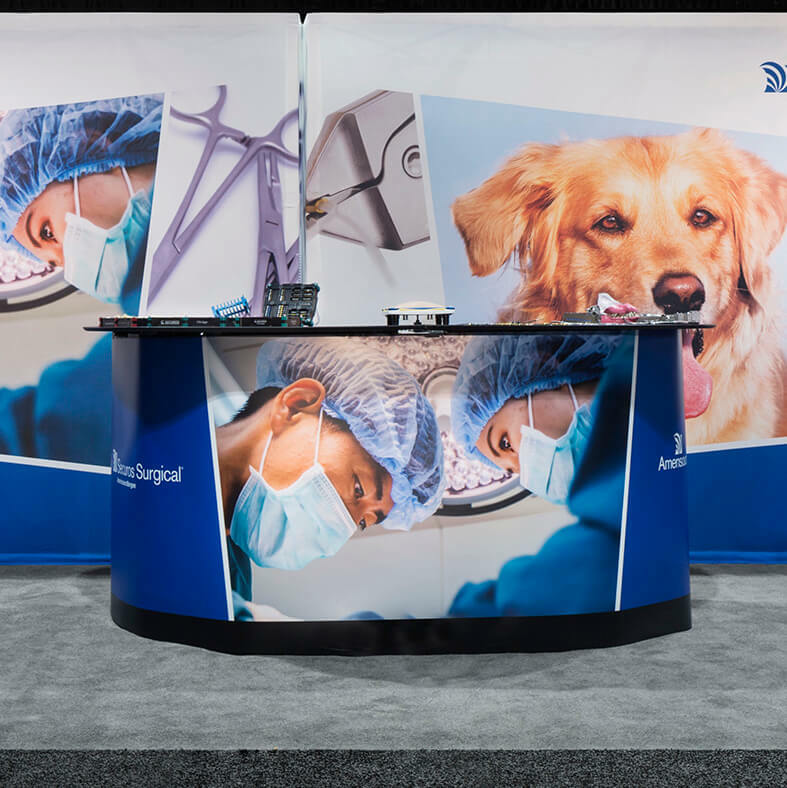 The company serves both the professional veterinary market and the consumer market.